Almost 2 metres tall, 16 year-old Simon looks like strength personified. His violent persona leads the police to arrest him and then, with the aid of social services, forcibly relocate him to yet another foster home. This time he is sent from Oslo to a little valley in Western Norway. He is determined to rebel against his foster parents, keep everyone at a distance and dominate the three bullies in his new class. He reckons it’s going to be easy as pie to set himself up here, but things don’t quite go to plan. 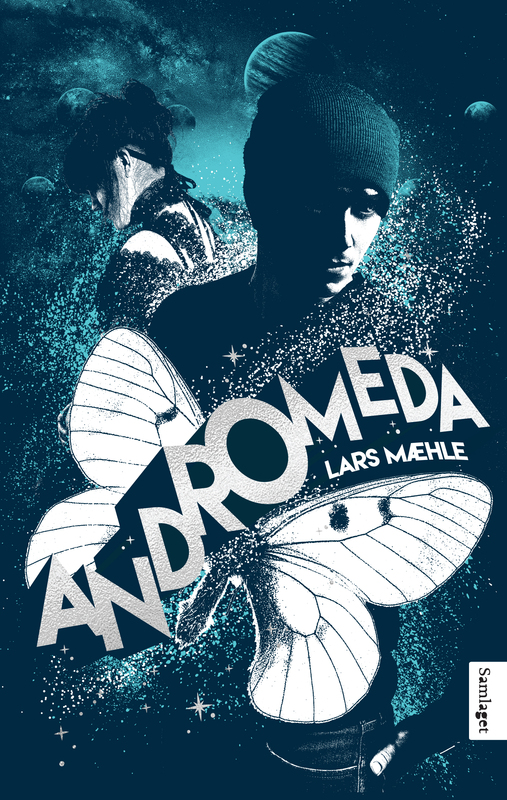 Andromeda is a young adult novel brimming with pace, tension and drama. It tells a story of young people who all, in some way, feel sidelined and othered. They are confused outcasts in the world, putting on masks and trying to present different, tougher versions of who they truly are. It is a tale of loyalty and betrayal, pecking orders and mind-games, of finding small things inside the big and big things inside the small – a tale of butterflies and the universe. Sample translation and storyline available. Lars Mæhle (b. 1971) has written a number of books for children and young adults and fiction, among them the children’s novel Tunisia’s Keeper (Keeperen til Tunisia), 2004. In 2011 the film “The Liverpool Goalie”- based on Mæhle’s novel received the Crystal Bear in Berlin 2011. Rights sold to Germany. In 2009 he wrote the awarded fantasy novel The Country beneath the Ice / Landet under isen. Mæhle’s crimes novels for adults, The Dark Gate /Den mørke porten, 2013, was sold to Germany, Italy. The second book was Linné’s grim lesson / Linnés dystre lærdom, 2014, sold to Germany.